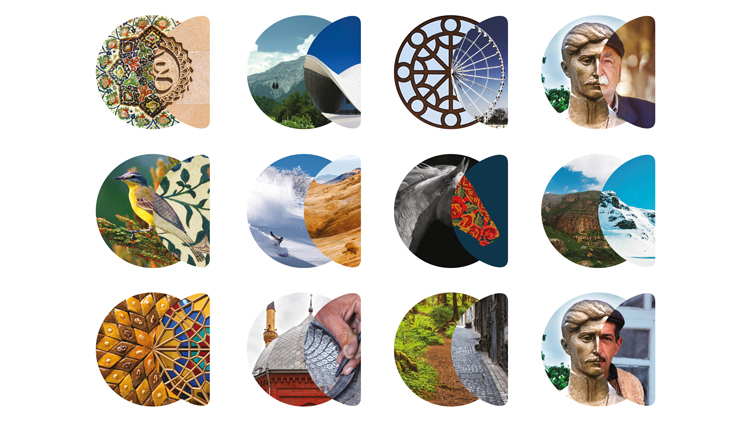 The country, which is located across the Asia-Europe boundary, has a new identity designed by Landor that aims to attract more tourists to discover its “untold stories and secrets”, from its mountainous landscape to its cultural events. 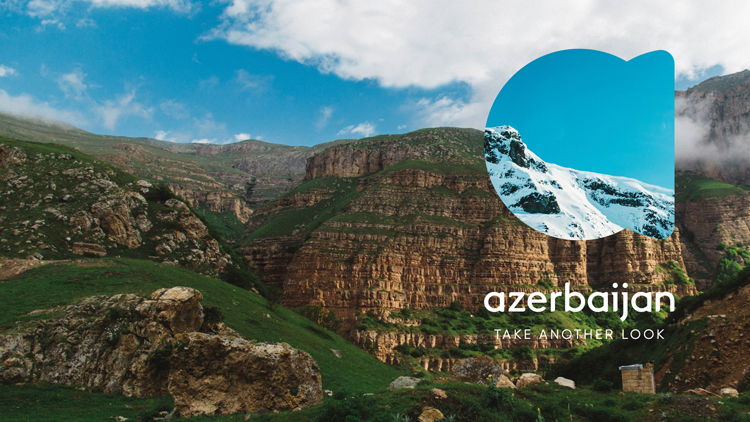 Landor’s London office has designed a new place brand for Azerbaijan, in a bid to boost tourism to the Middle Eastern country and teach people that there is more to it than “oil, carpets and Eurovision”. The new identity features an icon composed of an overlapping circle and semi-circle making up both the shape of a lens and a lowercase letter “a” for “Azerbaijan”. Landor is calling the device “a reveal lens”, and it is used alongside an all-lowercase, sans-serif, hand-drawn typeface and the new brand strapline and ethos, “Take another look”, in all-caps. The opaque, lens-shaped symbol is used as a graphic window, which is filled with imagery and photography depending on where it appears. It is used to create contrasts, either to the background it sits on, or it is filled with two different images in itself – for example, it is filled with snowy mountains sat against a summer hilltop background on an advertising poster, while it features sweet treat baklava used against a similarly-patterned stained-glass window on food packaging. The lens shape is a symbolic peak into the “untold stories and secrets” of Azerbaijan, says Shaun Loftman, executive creative director at Landor EMEA (Europe, Middle East and Africa). 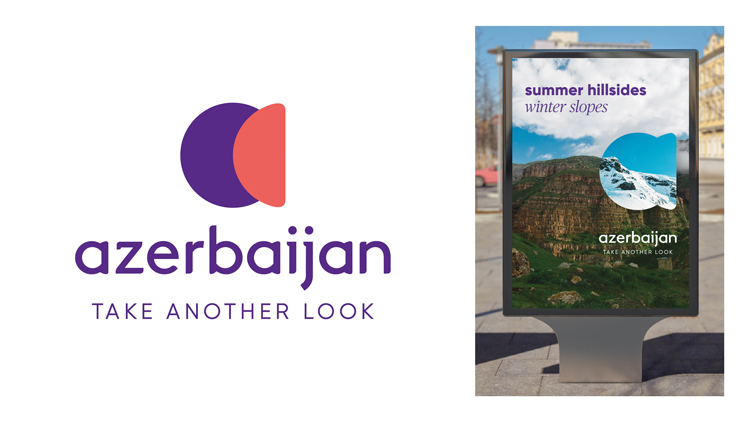 “The [graphic] device helps bring to life the brand idea ‘take another look’ by putting together two contrasting things to do see and see in Azerbaijan,” says Loftman. “Azerbaijan is relatively well-known to the Russian and Arab markets but to the rest of the world, people didn’t really know about its existence,” he continues. 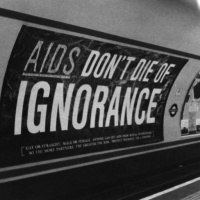 “And if they did, it was for its oil, carpets and Eurovision! 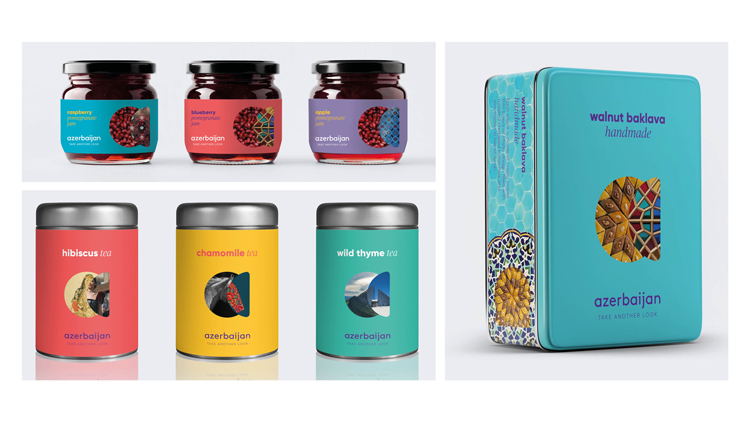 A bright colour palette of blue, green, yellow, pink and purple, used alongside white, accompanies the new brand, with many pattern-focused illustrations and photos, referencing the country’s history of intricate patterns used on everything from stained-glass windows and ceramics to carpets. A serif typeface is used alongside the core sans-serif. A predominately lowercase typeface style has been chosen to help the country feel “more consumer-focused and approachable”, says Loftman, while a “vibrant” colour palette has been inspired by traditional colours of Azerbaijan, particularly its carpet trade. 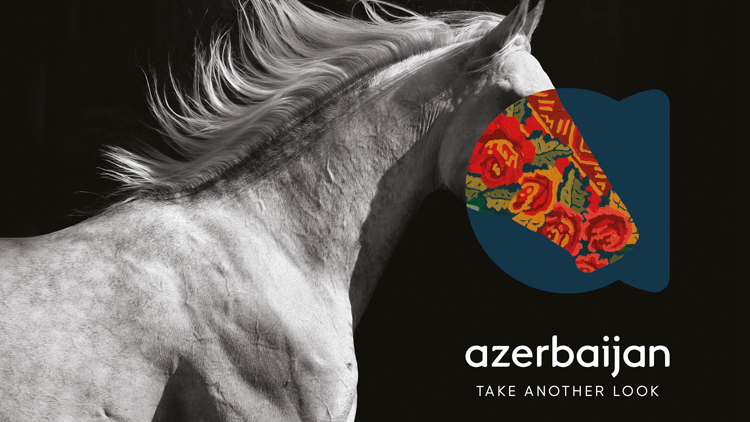 The new branding has now launched and is rolling out across all consumer touchpoints, including food and drink packaging, advertising posters and signage at events, merchandise, and online platforms including the official Azerbaijan travel website. 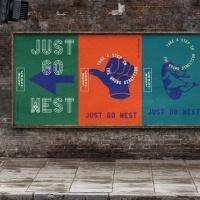 The project was commissioned by the Azerbaijan Tourism Board (ATB), and took Landor roughly three months to complete. Azerbaijan is currently a growing tourist destination, having generated over $1.3bn (£992 million) from visitors in 2017, according to the ATB. It has held events recently which have been a draw for tourists, such as the first ever European Games, a regional Olympics, which took place in its capital city Baku in 2015. It has previously been associated with the Eurovision Song Contest, having won the competition in 2011 and subsequently hosting it in 2012. The country has a population of 9.6 million, and has low crime rates and is considered much safer for travel compared to neighbouring and nearby countries such as Iran and Iraq, according to UK Government foreign travel advice. Nice Work. However, Correction needed: Azerbaijan is not a Middle Eastern country. What’s the connection between Azerbaijan and a Goldfish?